Lyons Township Dog Training Club – EVERY TUESDAY NIGHT October 2, 2018 - October 30, 2018 6:30 p.m.
LTDTC is a non-profit AKC accredited dog training club with experienced instructors offering positive reinforcement group classes for all dogs (mixed and pure breeds) at all levels…from puppy to advanced beginners to the seasoned competitor…in agility, obedience and rally. Whether your goal is a well-trained family pet, a therapy dog, or competition, join them and discover the fun and satisfaction of dog training. 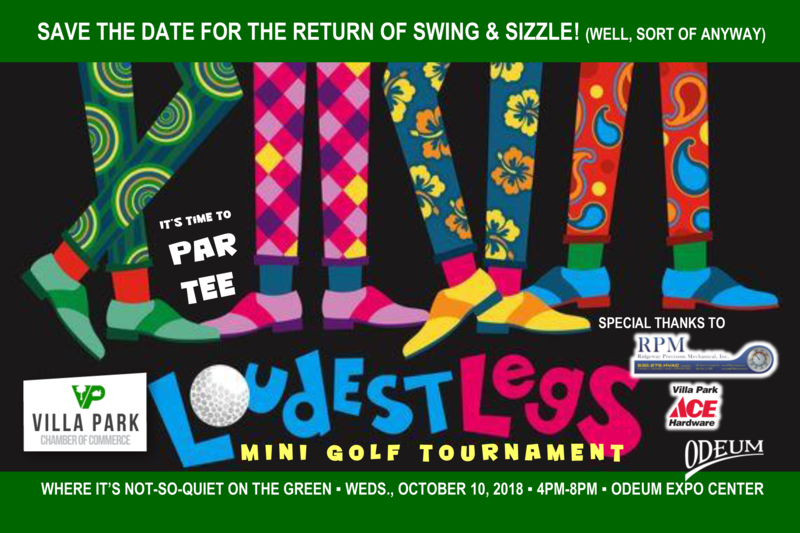 Put your foursome together, grab your putter (and wedge), and dig out those wacky golf pants, socks & shoes, ‘cuz Villa Park Chamber of Commerce’s Swing & Sizzle fundraiser is back… with a twist…and indoors too! You won’t want to miss 9 holes of crazy mini golf and some bonus holes representing Villa Park’s very own businesses. Sponsorship Opportunities to Get Your Name Out There! Cash Prizes for top female golfer, top male golfer and top foursome! Dress in your craziest golf outfit to win the Loudest Legs Golf Garb Grab Bag! This is a fundraiser for the Villa Park Chamber of Commerce. Aquarium Extravaganza, October 13th – 14th, 2018 October 13, 2018 - October 14, 2018 Saturday 10 A.M. to 6 P.M. and Sunday 10 A.M. to 4 P.M. 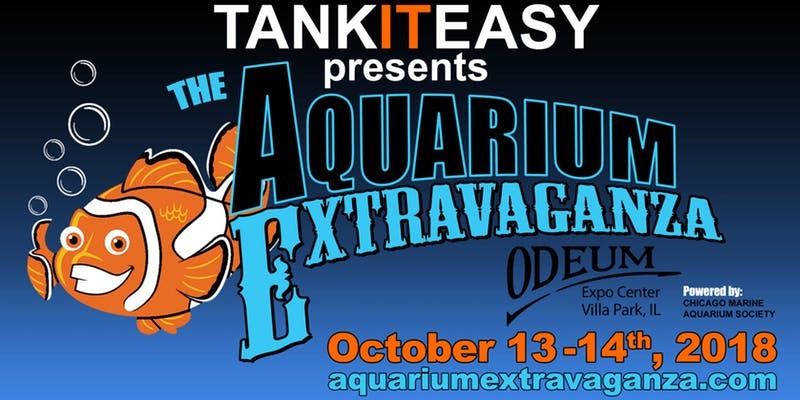 Tank It Easy is proud to present The Aquarium Extravaganza! Aquarium industry vendors, large display aquariums, live coral, fish, raffle prizes*, face paintings, swag bags and more! 2nd Festiwal Disco Polo w USA Chicago, returns to the Odeum starring Akcent, Weekend, Mig, Exaited, Jorrgus, Top Girls, and Defis. The biggest stars of disco polo music at concerts throughout the USA! Hear the mega hits performed LIVE…”Through Your Green Eyes,” “She Dances for Me,” “There Is No Strength for Mariola,” and “Unusual Color.” The event will be hosted by Polo TV presenter Maciej Smoliński. DON’T MISS THIS INCREDIBLE CONCERT! 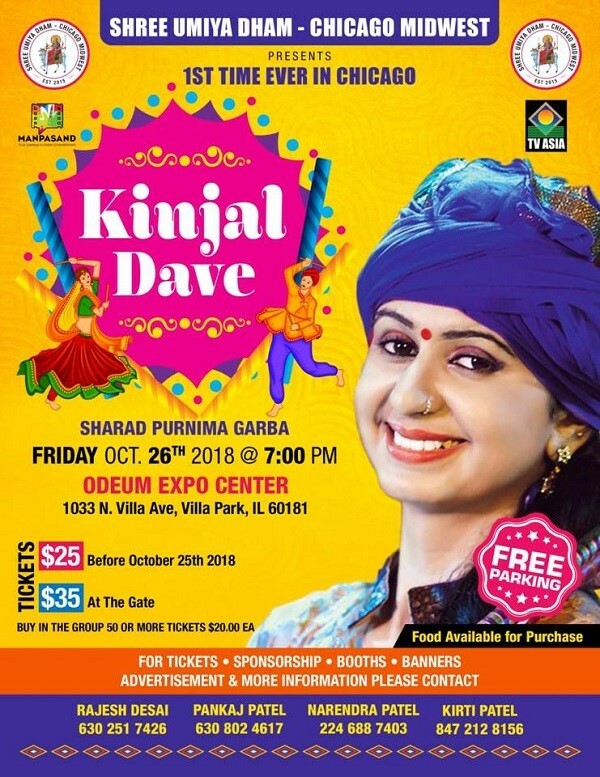 Dandiya Queen Kinjal Dave, October 26, 2018 SOLD OUT October 26, 2018 Doors open at 6:00 P.M. with music and dancing starting at 7:00 P.M.
Shree Umiya Dham – Chicago Midwest presents for the FIRST TIME EVER IN CHICAGOLAND, Kinjal Dave…the beautiful Gujarati singer with the golden voice. She is a very popular Gujarati folk singer that does garba, lagnagit, lokgit, santvani and all types of programs and has made more than 100 albums! Performing more that 200 programs each year, she is one performer you don’t want to miss! 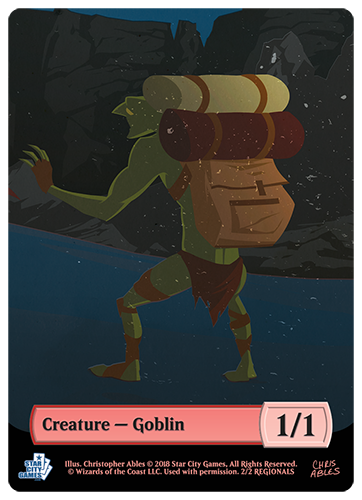 Welcome her to the Odeum for the first time! 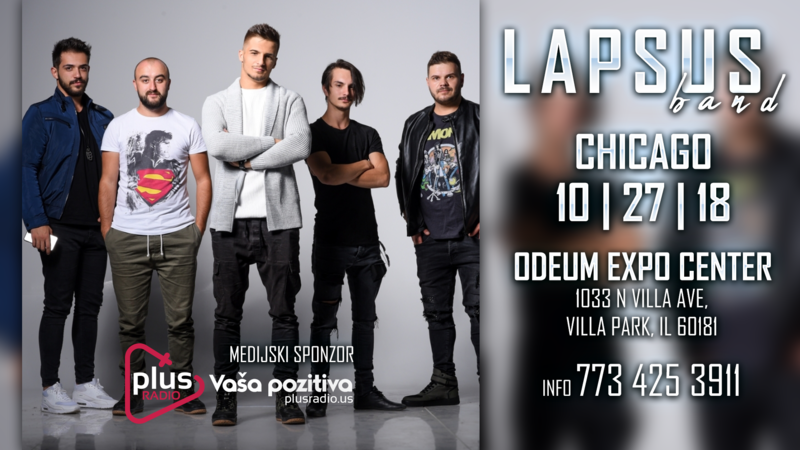 Lapsus Band on their USA Tour, October 27, 2018 October 27, 2018 Doors open at 8:00 P.M. 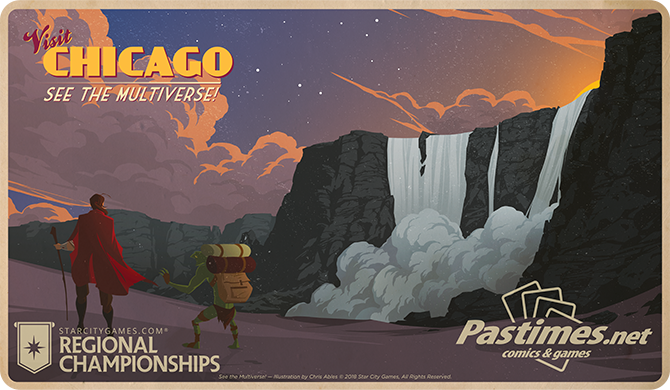 The Lapsus Band is heading to America for their USA Tour and Chicagoland is the last stop on the tour! Emir Aličković – Vocals, Mahir Osmanović – Guitar, Muamer Bošnjaković – Keyboards and Mumin Korajac – Drums will have you singing and dancing for a night you’ll never forget! Lyons Township Dog Training Club – EVERY TUESDAY NIGHT November 6, 2018 - November 27, 2018 6:30 p.m.
Dodgeball Tournament – DuPage County Habitat for Humanity, November 8th, 2018 November 8, 2018 Doors open at 5:30pm with games beginning at 6:00pm. 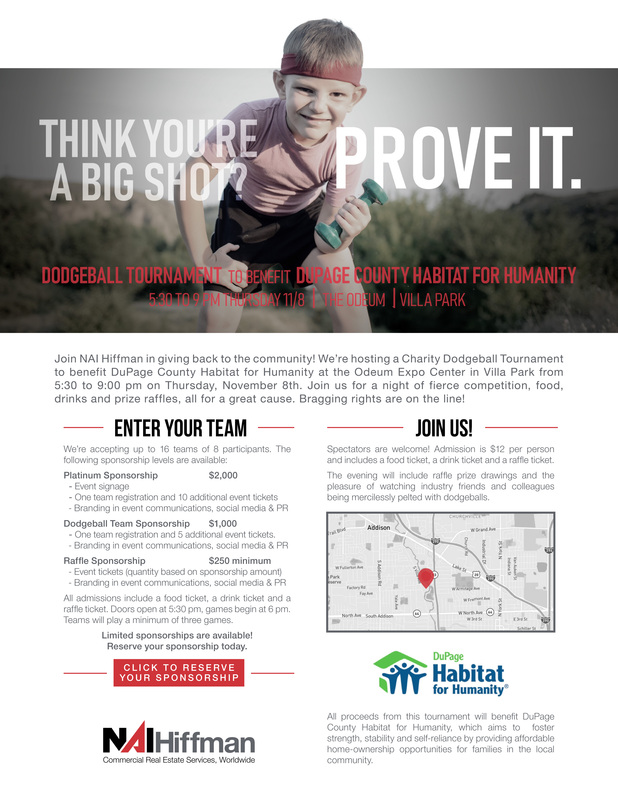 NAI Hiffman is hosting a Charity Dodgeball Tournament to benefit DuPage County Habitat for Humanity from 5:30pm to 9:00pm on Thursday, November 8th. Join us for a night of fierce competition, food, drinks and prize raffles, all for a great cause. 16 teams of 8 to 10 participants will battle it out. Team registration is $500 and includes admission, a t-shirt, a food & drink ticket, and a raffle ticket for each team member. Teams will play a minimum of three games. Spectators are welcome! Admission is $12 per person and includes a food and drink ticket. The evening will include raffle prize drawings, karaoke and the pleasure of watching people being mercilessly pelted with dodgeballs! All proceeds from this tournament will benefit DuPage County Habitat for Humanity, which aims to foster strength, stability and self-reliance by providing affordable home-ownership opportunities for families in the local community. Doors open at 8:00am and runs until approximately 9:00pm. Contact: Visit www.pastimes.net for all the details. The only tournament where the public is the judge with more than $10,000 in prizes! 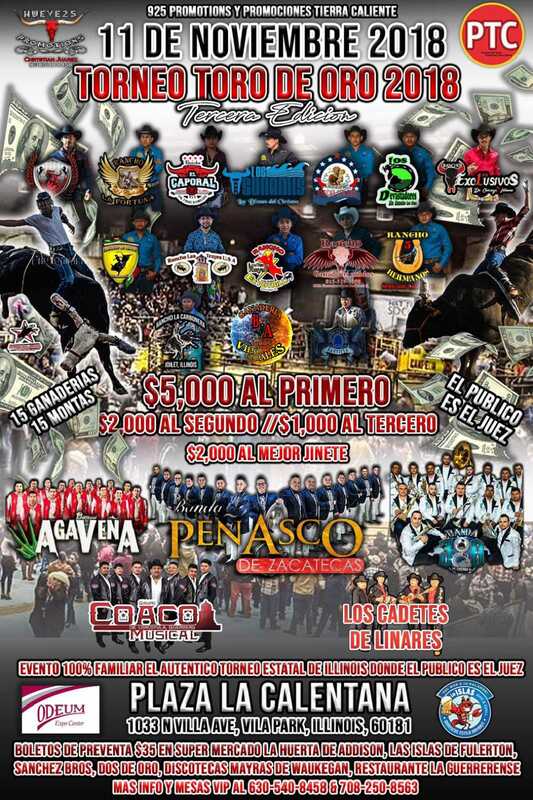 Featuring Los Tsunamis, Rancho 5 Hermanos, Rancho Los Exclusivos, Rancho Los Pinos, Rancho El Caporal, Ganaderos Unidos, Rancho Los Trojes, Rancho La Fortuna, Rancho La Carbonera, Rancho San Jose, Rancho San Judas, Rancho La Cinta, Rancho Vientos Expaciales. Bull riding! Music! Family Fun! Over 500 Artists & Crafters from 30 states fill the Odeum from wall to wall with incredible hand-made items just in time for your holiday shopping! Voted one of the TOP 100 SHOWS in the country by Sunshine Artist Magazine, this is one event you don’t want to miss! Hand-crafted, one-of-a-kind home decor and gifts, stage entertainment, plenty of food and drinks, plus register for $30 Gift Certificates – awarded hourly! Plan at least one full day to shop all the booths! This is one incredible event that people come back year after year because they have such a great time…DON’T MISS IT!! Download your $1 OFF admission coupon at http://hpifestivals.com/1-discount-coupon/ OR you can now get advance tickets online for the Fall Arts & Crafts Festival too! Order online tickets HERE and make sure you use the Promo Code afshow2018 to get your $1 OFF DISCOUNT. Admission is $9, $8 for seniors and children under 10 are free. 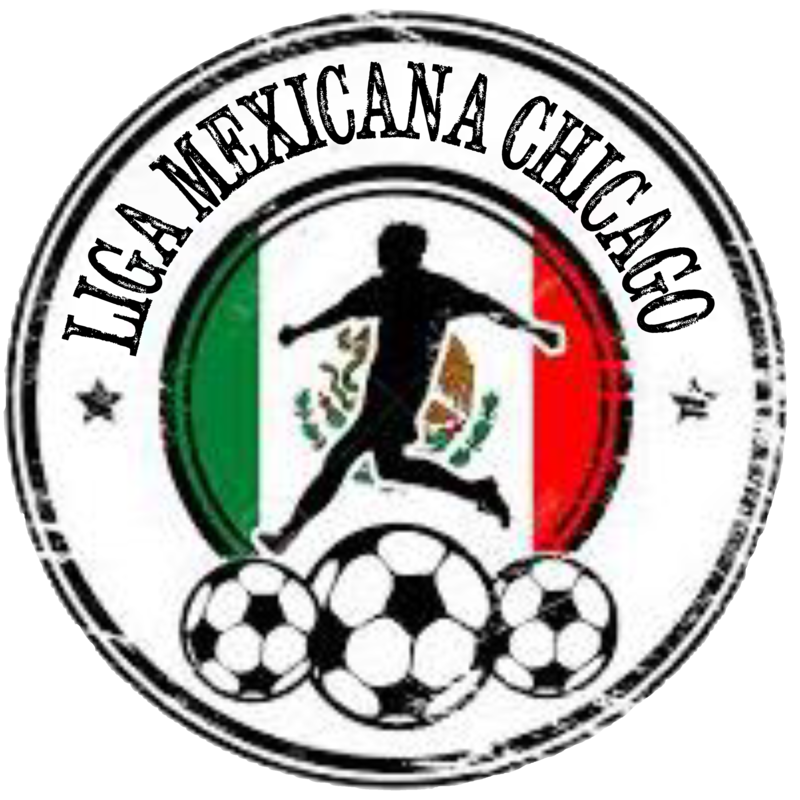 Liga Mexicana Chicago Indoor Soccer Season 2018-2019 November 20, 2018 - January 26, 2019 8:00 p.m.
Every Tuesday, Thursday and Saturday night. November 20th, 2018 through January 26th, 2019. Indoor adult semi-pro soccer league. 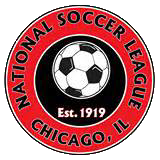 Windy City Soccer League Indoor Soccer Season 2018-2019 November 25, 2018 - January 27, 2019 6:30 p.m.
Every Sunday night. November 25th, 2018 through January 27th, 2019. 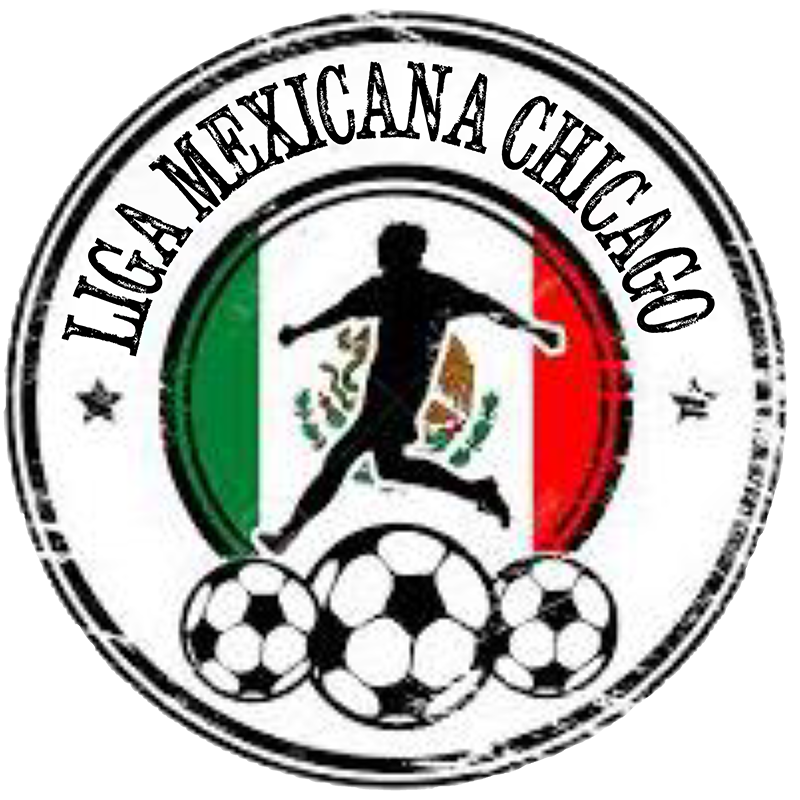 National Soccer League Indoor Soccer Season 2018-2019 November 30, 2018 - March 22, 2019 7:00 p.m.
Liga Mexicana Chicago Indoor Soccer Season 2018-2019 December 4, 2018 - January 26, 2019 8:00 p.m.
Windy City Soccer League Indoor Soccer Season 2018-2019 December 16, 2018 - January 27, 2019 6:30 p.m.
Lyons Township Dog Training Club – EVERY TUESDAY NIGHT December 18, 2018 6:30 p.m.
National Soccer League Indoor Soccer Season 2018-2019 December 21, 2018 - March 22, 2019 7:00 p.m.